The expression “above board,” meaning honest, originated in the days when pirates would hide most of their crew below decks in order to lure some unsuspecting victim. Those who did the reverse, by displaying all their crew openly on deck, were obviously honest. Amazing moonlight, and a bit mysterious! My husband loves word and expression derivatives. This is a great one. dramatic black & white photo. I love the origin of expressions. This is an excellent one! 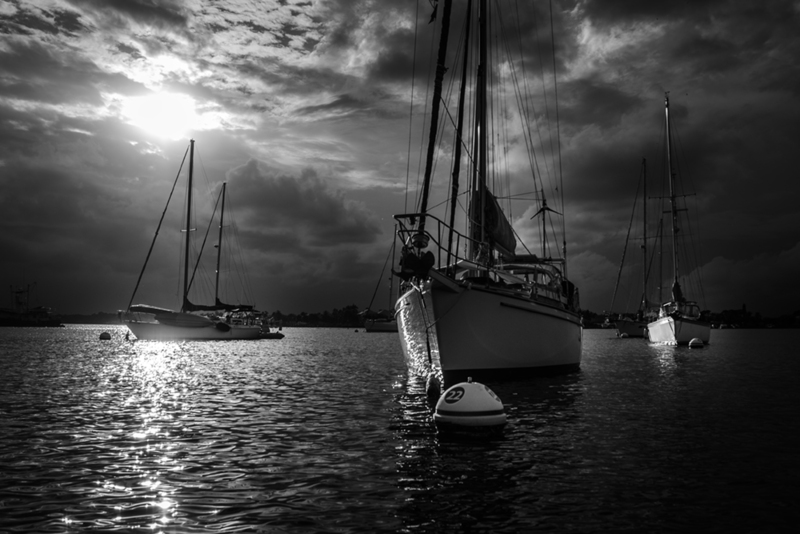 Such a dramatic water scene in black and white! How interesting! I did not know that. Really superb image, Sherry, and I love it in black and white. Your photo speaks of a day well spent. The story is such fun! Somehow, not surprising. Isn’t it fascinating, how so many of our modern English expressions and words come from a maritime origin? Though I guess it’s not surprising, considering England is an island! Your image is absolutely stunning with the light and contrasts in particular. And how very interesting to learn the roots of that saying.